It hit you like a ton of bricks; the stars aligned and you had your eureka moment: you came up with a great new idea for an invention! You threw together a prototype to see if the idea would work, and it did! Then you hopped on Google Patents and started searching to see if someone has patented your idea. You sorted through countless patents and finally found one that looks a lot like your idea. What can you do?!? Fortunately, there is a whole lot you can do and often you can still pursue your idea and succeed, even when someone else has patented the idea. The first thing you want to do is look carefully at the patent and see does this patent really describe the same thing my idea does. If not, or not exactly, you will want to consult a patent lawyer to see if you can patent around this existing patent and still have reasonable protection. But what if someone patented your idea exactly? You want to check to see if the product is available. Check the internet and stores to see if you can find it. If not, try to contact the names or company listed on the patent. Ask them if they are selling their product or if they have licensed their patent. Over 90% of patents never make any money, so there is actually a good chance that they aren’t selling or haven’t licensed this product. Before we go any further, we should talk about why 90% of patents never make money. Large corporations apply for and receive many patents that they never intend to pursue or aren’t sure that they will pursue, which accounts for part of this 97%. There are also patent trolls who apply for patents to later sue others, which also accounts for part of this number. But the main reason that most patents don’t make money is because it is difficult to bring a product to market. Inventors who don’t look for help can have an especially hard time since many inventors are really good about coming up with creative new ways of doing things but are really bad at running a business or understanding how to set up a sales network. So if a patented idea didn’t make money, that does not necessarily mean the idea is bad. Maybe the business behind the idea was run poorly or the product wasn’t formulated and packaged in a way that would excite customers. This is important to remember and there is a great example of this below. So if the inventor or company listed in the patent says they aren’t selling the product and no one else has licensed the idea, tell them that you may be interested in licensing the idea from them. Before you agree to anything, make sure you have done your homework. You must know if the market opportunity is big enough to support the product and if people will feel the product is a good solution (if you need help with this, we can provide you with Consulting or Invention Evaluations). If the product has the potential, start licensing negotiations with them. It is impossible to say in an article what terms to work out, because if the idea is almost ready to bring to market, you will need to pay them more, if the idea is just on paper, you should pay them less. Stephens struggled to get her two children to properly brush their teeth and wash their hands; they were always in such a hurry that they did a poor job. She envisioned a timer that would have the children press a button and then the timer would tell them when they were done. 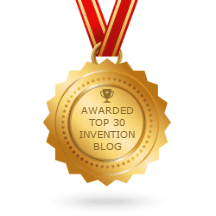 But when she did a patent search, she found that someone had already patented the concept. Stephens decided to approach the inventor and license the idea. She further developed the idea and added the hand washing timer (the original idea only included a teeth brushing timer) and started marketing the product, called the Wash & Brush Timer. It is now sold through a chain of retail stores, JoJo Maman Bebe, at www.trendykid.co.uk and she is working on getting dentists to carry the product too. What can we learn from this story? Stephens had an idea that was already patented, but the inventor wasn’t successful with the patent. Stephens then transformed the idea into a product that would excite customers and started selling. Having an idea is important–it is the invention–but turning it into a product that makes money is the step that many inventors fail at. Stephens’ success came by adding value, by including a hand washing timer, and by formulating and packaging the idea to excite customers. If you can do this, you can turn an unsuccessful idea into a success! And if the inventor has tried and failed, he is she will probably be willing to license the idea for a low percentage. What if the idea is already successful and the inventors has sold or licensed the product? That still doesn’t need to stop you. If the product is licensed or is being sold by the inventor, you may be able to license the product for other markets. You maybe envisioned a use for the product that the inventor did not, and you can license the product for that market. You may also be able to sell the product for a commission. Either way there are still options left for you to pursue your dream. If you have patent questions, Don Debelak is a registered patent agent and can help you. Contact him at info@onestopinventionshop.net.